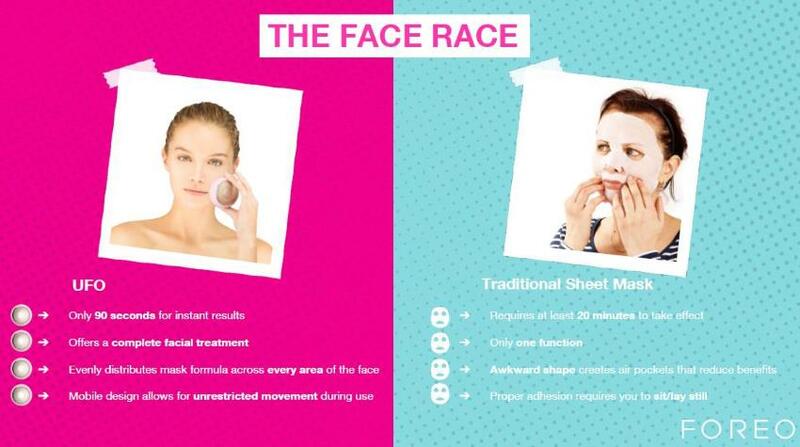 Rising star Foreo, a Sweden-headquartered skin care and wellness products brand just recently launched its new device, the Foreo UFO, aimed to replace sheet masks, with an easier and much more convenient mask treatment. The company introduces the new device as the first smart mask treatment, providing beauty salon-level facial treatments in less than two minutes. The UFO (Ur Future Obsession) device combines mask treatment, LED light therapy, cryo-therapy, thermo(heat)-therapy and T-sonic pulsations. and is clinically tested. - The UFO can be paired with the Foreo app to get the most out of the device. 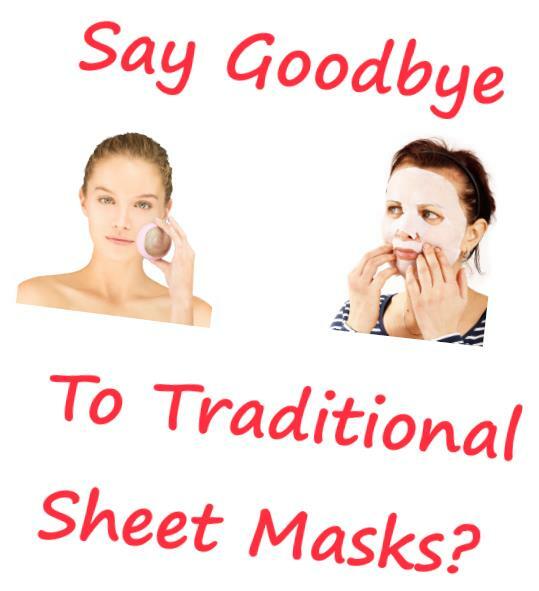 Specially invented UFO-activated sheet masks. - to help relax when people are ready for the night, named "Call it a Night' mask. - 30 seconds switch to a Green LED treatment and lower frequency pulsations, to even skin tone and add that radiant boost. - 30 seconds of higher-frequency T-Sonic pulsations combined with Thermo-Therapy and Red LED light, to infuse the essence beneath the skin's surface. - T-Sonic pulsations then switch to a lower frequency, with the Red LED light retained and Thermo-therapy disabled, to focus on enhanced blood circulation and restoring skin's elasticity. So, with the Foreo UFO it's a whole new way to mask in less than 2 minutes. It is available in the colors: Pearl Pink, Fuchsia and Mint. Go to Amazon Here for more information and best pricing! Then there are the other skin care devices from Foreo. You'll find information here. 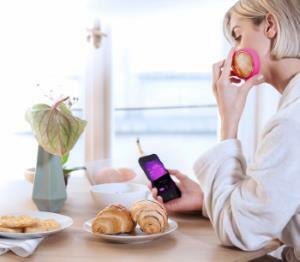 The Foreo ESPADA, a blue LED light equipped device for acne treatments. This ESPADA device features - what the company calls "laser-focused cross hairs and T-Sonic pulsations" to treat pimples, clogged pores and blackheads. The popular Foreo LUNA skin cleansing system channels T-Sonic pulsations for exfoliation gentle enough for everyday use while incorporating anti-aging technology into its groundbreaking design.